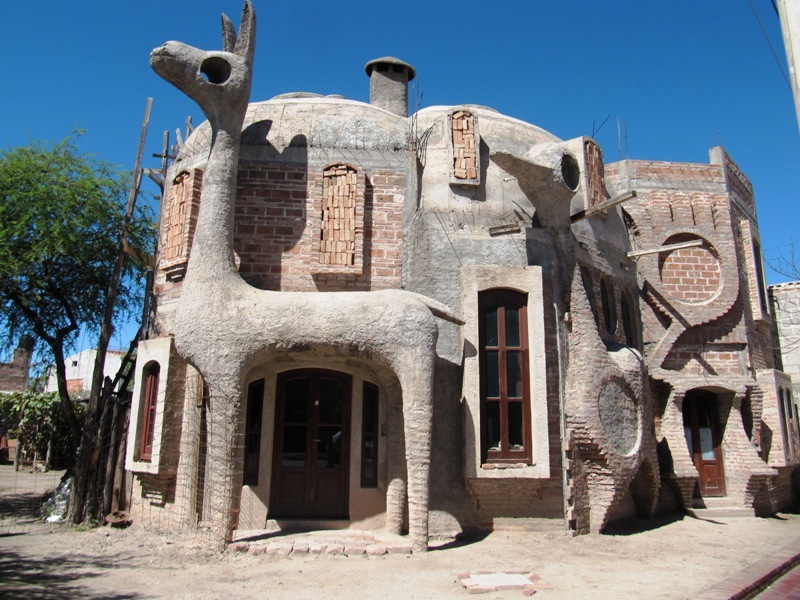 Cafayate enamored us from the beginning. Even on the bus ride into town we were admiring the neat streets and cozy feel of the place. 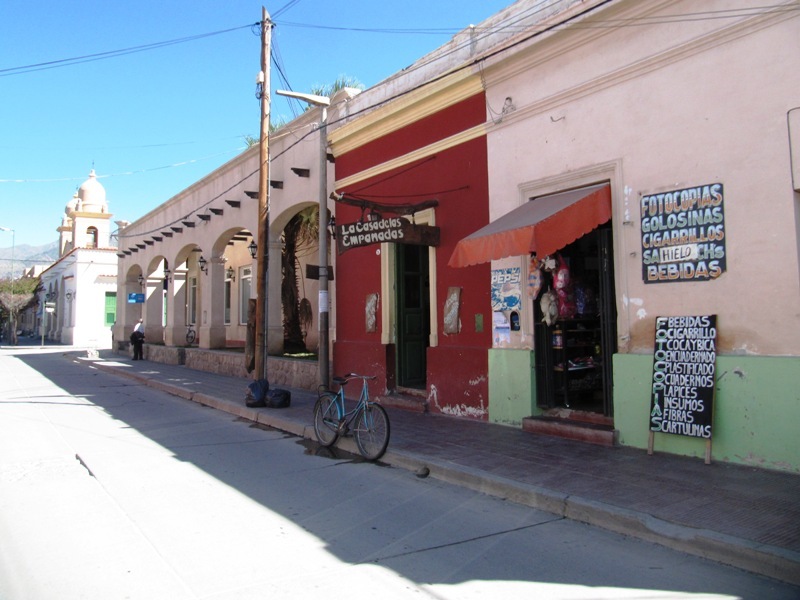 Like many Argentine towns Cafayate is organized in colonial Spanish grid system with a central square. 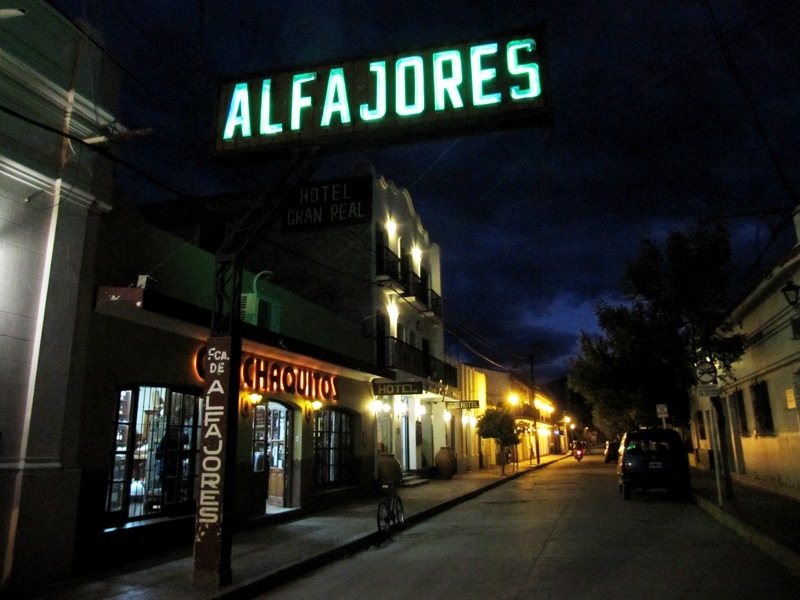 Just off the square was a sweet alfajores factory with traditional flavors such as coconut and chocolate dipped, as well as some unusual ones like lime. But we could not survive on sweets alone. 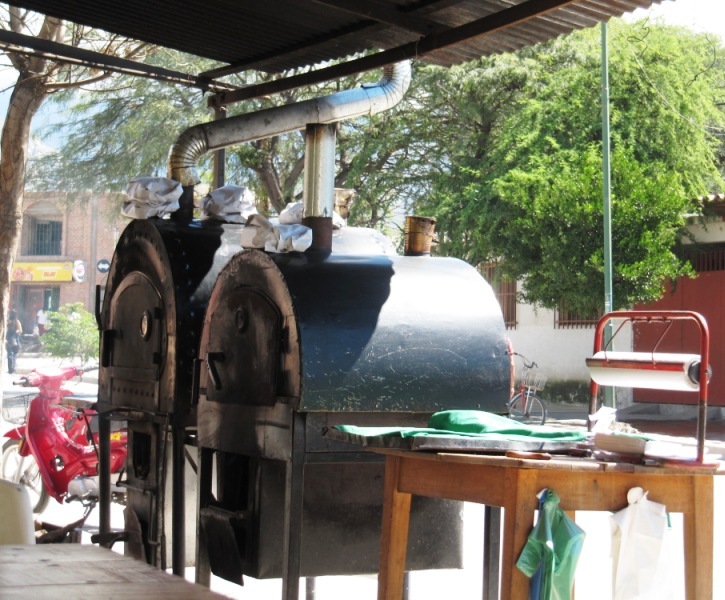 Across the street from our hostel we were enticed by iron wood-burning ovens puffing smoke. 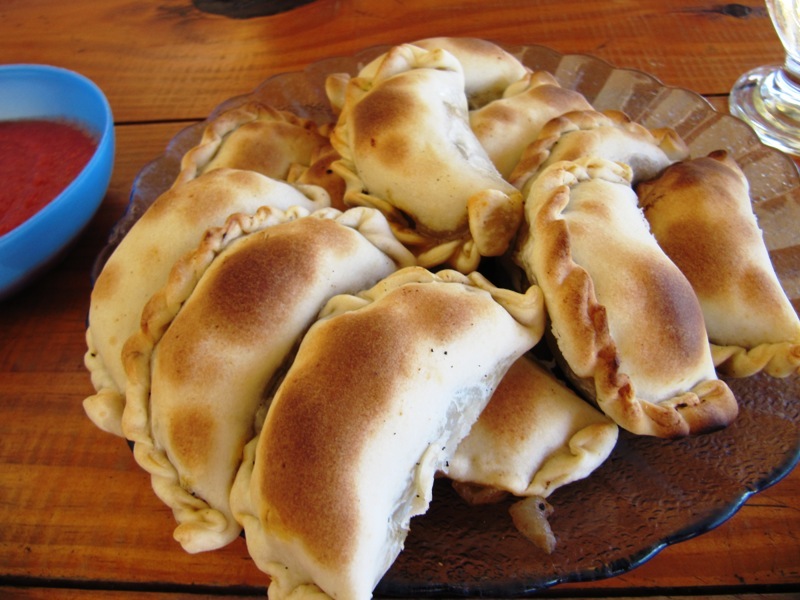 Inside were trays upon trays of salteñas (empanadas filled with meat, onions, olives and hard-boiled eggs). We ordered a dozen along with wine and soda water to make a spritzer (very popular in these parts). The next day was Sunday, which in small town Argentina means everything shuts down. So we decided to go on a hike. 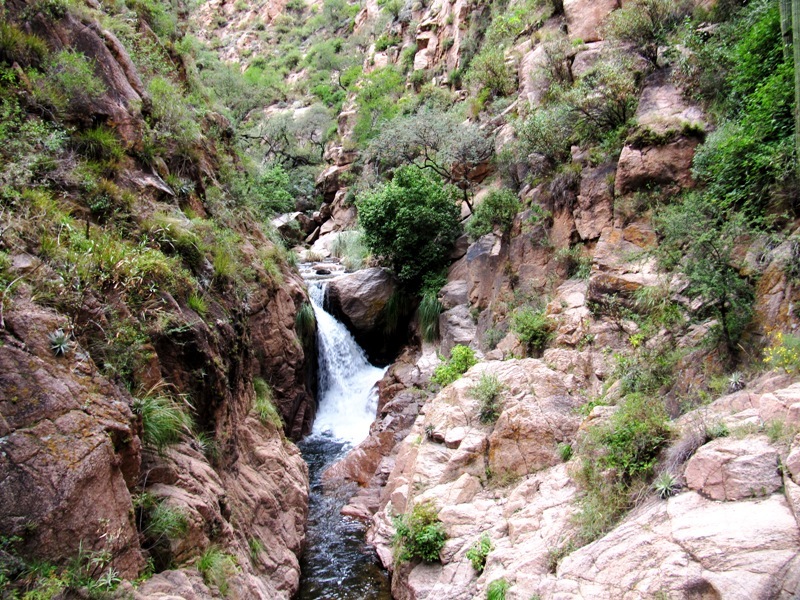 Based on the guidebook and information from the hostel we chose a 4 hour trek to a waterfall deep in a canyon. We were expecting a moderately difficult but fairly straightforward hike. Of course, it didn’t quite work out that way. The “trail” was often difficult to find and involved a lot of scrambling up cliffs. 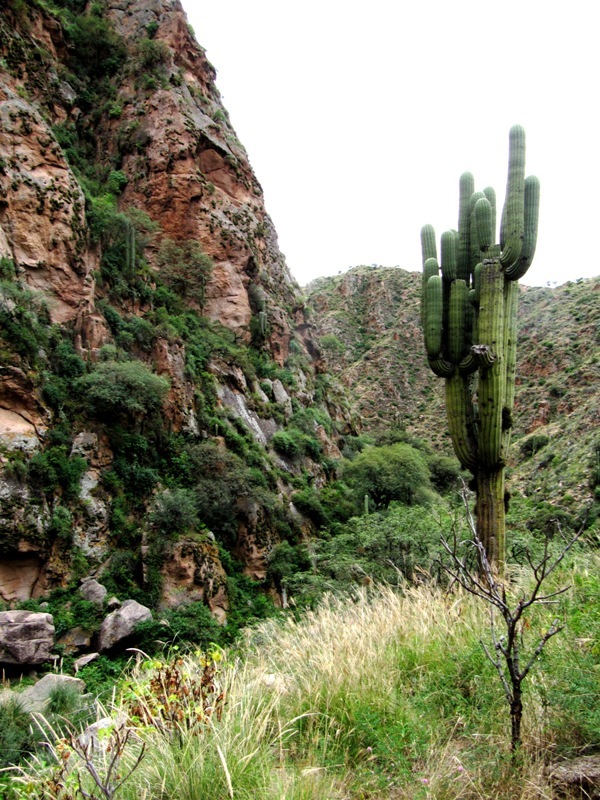 The path kept disappearing into the river that carved the canyon. These were no simple crossings but some of the most difficult I’ve ever encountered. They stressed me out but Nathan happily skipped from boulder to rock like a pro. (Though he was less happy when I accidently knocked him into the water as he tried to help me cross. Twice!) The invisible path, the river crossings, and the lack of any other hikers started to get to me. But with tired muscles and soggy boots we survived the hike, happy to have enjoyed the spectacular scenery. 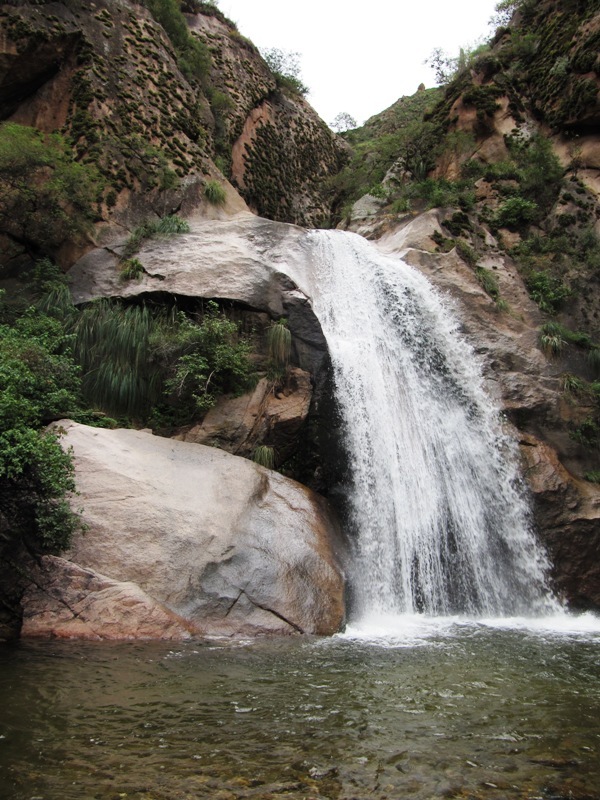 The waterfall was beautiful, gushing 10 meters into the red rocks below. 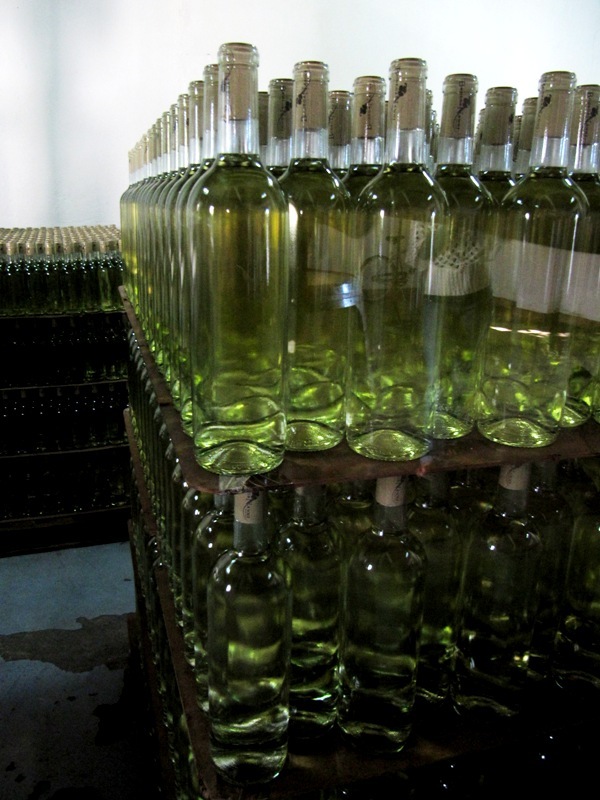 Ok, time for the real reason we went to Cafayate – wine! We learned in Mendoza that the white torrontés wine was from here. But all the northern wineries also produced malbecs and cabernet sauvignons that were more tannic than those in the south. 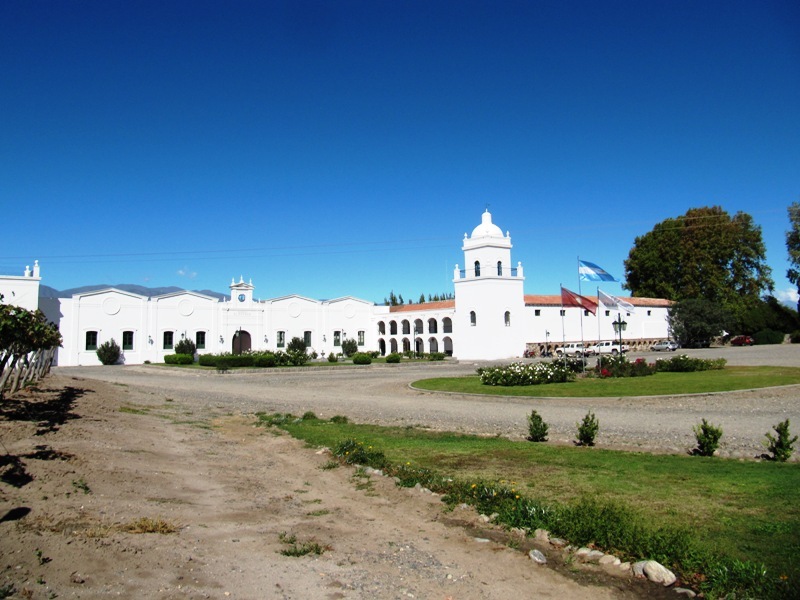 Our favorite winery of Cafayate, Nanni, is actually in the town itself. It produced crisp torrontés that straddled the balance between sweet and dry. Another great bodega was Esteco. Beautiful setting, delicious wine, wide selection. But they lost points for offering wines by the glass instead of a tasting. There were many more: Finca Las Nubes for its excellent torrontés, El Transito for its rich cab, Domingo Hermanos for its goat cheese. Although we came here primarily to check out the wine scene, we ended up making many new friends. An Aussie couple we met at a winery, a Swedish pair at an empanada lunch, and an English couple we shared wine and dinner with at the hostel. Cafayate is just that kind of place. Every new blog post I relish receiving. Miss you two and I’ve been flaunting your adventures with my coworkers! We miss you too!! You’re comment brought a smile to our faces. Can’t wait to connect again this summer. You can’t keep up with a boy scout while hiking!! !